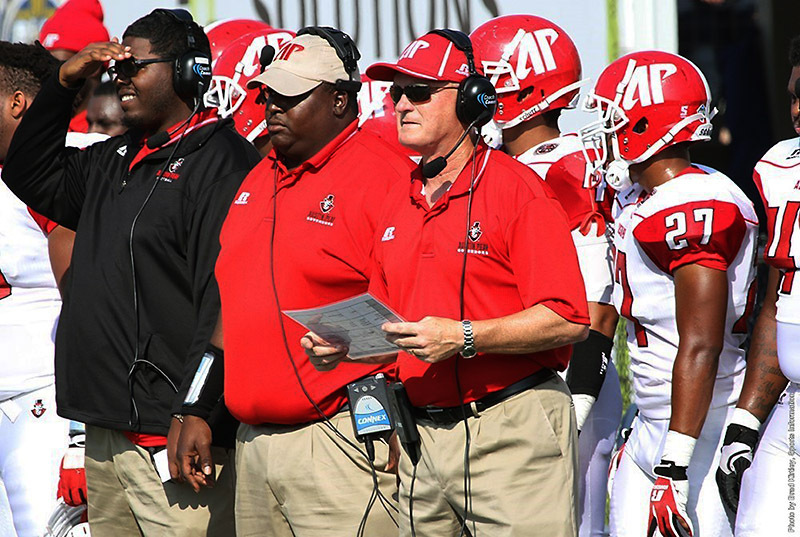 December 1, 2014 Archives - Clarksville Sports Network - Clarksville Tennessee's most trusted source for sports, including Austin Peay State University. 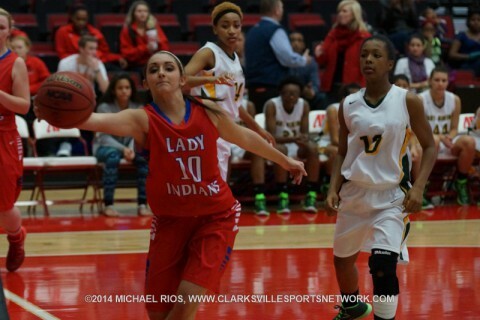 Clarksville, TN – Montgomery Central High School’s girls basketball team remained winless on the season after seeing Greenbrier High School knocking down 11 shots from behind the three-point arc, Monday, December 1st at the Thomas-Young Gymnasium, as the Lady Indians fell to the Lady Bobcats 65-28. The foreshadowing of what was to come against the Lady Indians (0-5) started right off the bat, as the first three baskets made by Greenbrier (6-2) on the night came from behind the arc – with Amanda Bennett getting things going, while Kayla Jerrell banged in back-to-back 3s to give the Lady Bobcats an 9-2 lead 4:30 into the game. Clarksville, TN – Montgomery Central High School’s boys basketball team flexed its defensive muscles, Monday, December 1st at the Thomas-Young Gymnasium, as it held Greenbrier High School to single figures in three out of four quarters to post a 53-38 victory. The two teams would play to a 12-12 tie after the first eight minutes of play, but Montgomery Central (4-1) would start to take control of the game midway through the second quarter. 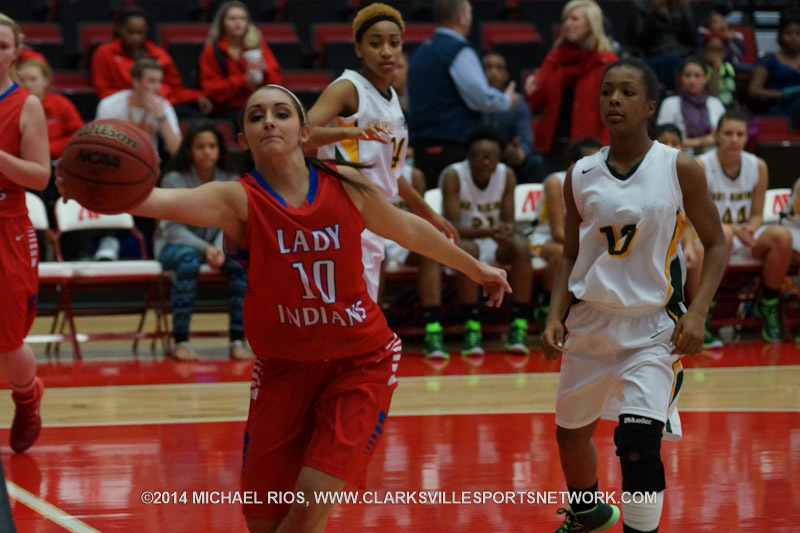 Montgomery Central Central Indians beat Greenbrier 53-38 Monday night. Clarksville, TN – Austin Peay women’s basketball team ends its first extended road trip of the 2014-15 campaign when it meets Memphis in an 8:00pm, Tuesday contest at Elma Roane Fieldhouse. 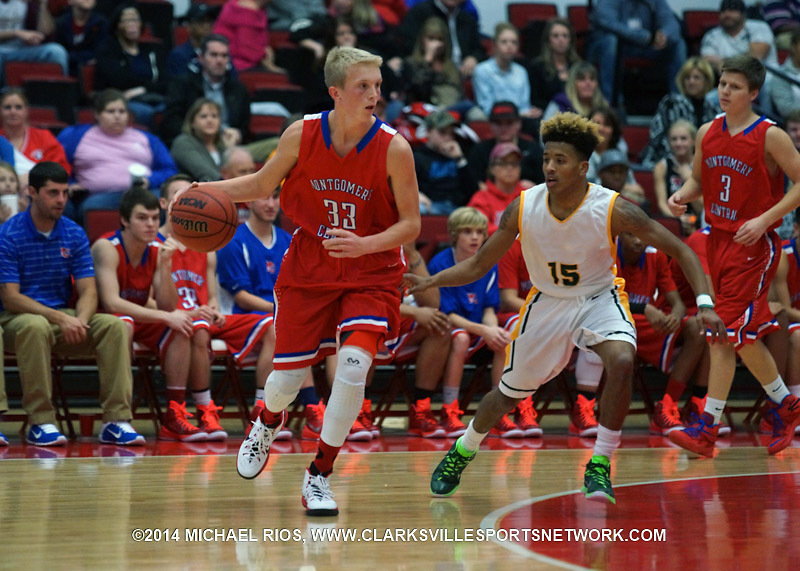 Clarksville, TN – Montgomery Central High School’s boys basketball team flexed its defensive muscles. Dec. 1st at the Thomas-Young Gymnasium, as it held Greenbrier High School to single figures in three out of four quarters to post a 53-38 victory. Leading 18-17, with 3:41 left before intermission, the Indians would run off nine straight points while holding the Bobcats scoreless over a span of 2:20 to build a double-figure lead 27-17. Nashville, TN – The Houston Texans (6-6) jumped all over the Tennessee Titans (2-10) Sunday rolling on to a 45-21 win. The Texans had the game well in hand at the half, up 24-0. Former Titan quarterback Ryan Fitzpatrick had a career day for Houston connecting on 24 of 33 pass attempts for 358 yards, a Texan franchise record 6 touchdowns and a passer rating of 147.5. Fitzpatrick led Houston down the field on the opening drive where he connected with tight end Ryan Griffin for an 8 yard touchdown. Clarksville, TN – Recruiting is the life’s blood of any college sports program and the Austin Peay State University football program is no different. That is why the next two months will be key for the continued building of the program, as coach Kirby Cannon and his staff will be putting plenty of miles on their travel reports as well as long hours going over tapes and evaluations of players that they hope to bring into the fold.